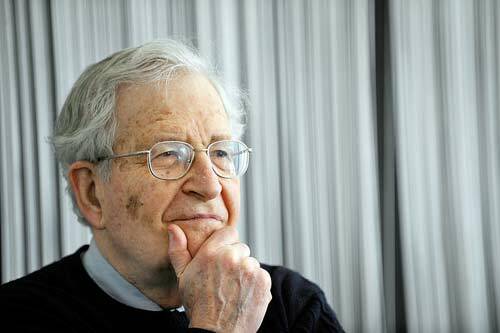 Noam Chomsky, the world-renowned linguist and philosopher, was a vocal advocate for formerly occupied East Timor (now Timor Leste) and continues to be a proponent of the Papuan struggle for self-determination. He spoke recently with The Jakarta Post’s contributor Prodita Sabarini in his office at the Massachusetts Institute of Technology (MIT) in Cambridge, US, on the impact of US foreign policy on Indonesia and how Southeast-Asian countries should be more independent. Indonesia’s election is just around the corner. How do you see the potential shift from the desire for more political freedom to a return to the old powers in Indonesia? Same as everywhere else, the powerful win. I mean the overthrow of the dictatorship in Indonesia was important. Part of the reason [for the overthrow] was Soeharto not carrying out roles that the IMF [International Monetary Fund] and the US demanded. And in fact, Madeline Albright, the [then] secretary of state at one point said that the US was dissatisfied with what Indonesia was doing and they ought to think about real change. About four hours later, Soeharto resigned. I don’t know if there was a causal connection but it was awfully suggestive. It is the great powers who decide. Mainly, the US in recent years decides what happens. What can citizens do to guide where their country’s heading, given these external forces? Well it’s not hopeless. In fact there are changes. Striking ones. Take Latin America. Ever since the beginning, for 500 years Latin America has been under control of Western imperial power. But now, South America is pretty much liberated. Just in the last 10 years, the changes are enormous. Do you think Indonesia should look into the experiences of Latin America? You can’t carry over the model. Latin America doesn’t have security problems. Outside of the US there’s no real threat to Latin America. Indonesia does. China’s there. All countries in Southeast Asia have to be concerned with Chinese power. What do you think of the role of ASEAN is in terms of resisting China’s power? My feeling is that there have been efforts to move to an independent, non-Chinese Asian system. Like Asian Development Bank for an example. Most have been blocked by the US in the past.